Meow. I’m at my second fuel stop. This time I stopped in Honolulu. Now are there any guesses to where I’m going? 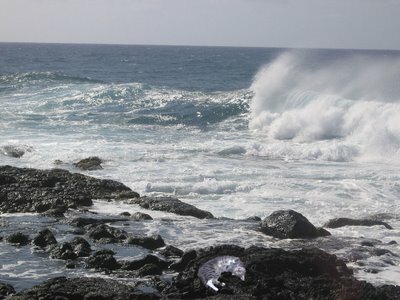 While I was in Hawaii, I took some time to visit the ocean. I didn’t want to get wet, of course, but I did roll around on some rocks while listening to the ocean waves crashing. It was very relaxing. Much more relaxing than a house with two furry beasts running from room to room and wrestling. I’ve got to dig out some of my food for a snack. Since I’m away from home, I can’t just demand that Mom feeds me, so I’ll have to do it myself. It’s fine though because I’ve got my freedom from furry beasts instead.